Just a quick update to tide everyone over until we put out a new episode. Jellokun shares his top 5 anime of 2010, this episode is quick 13 minutes hope you enjoy. 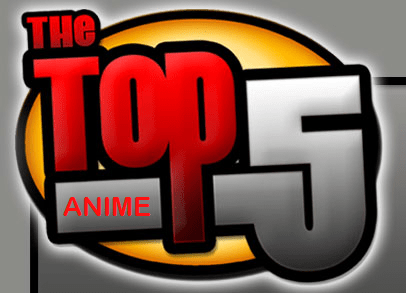 Feel free to add your top 5 anime in the comments section. Hi, Jello-kun. I recently started listening to your podcast and thought I’d comment on your list. Out of your five, I’ve seen all but Cobra the Animation, but also never finished B Gata H Kei. Overall, I’d have to agree, The World God Only Know is definitely up there (with its high production values and great music), but I would probably place Baka to Test higher. I’m more biased towards comedies and all the characters were fun. I thought TWGOK was somewhat handicapped by the pace of some of the arcs. I watched MM! after listening to your review, but found its ending somewhat disappointing. I find myself somewhat an Arashiko shipper, and any sympathies for Mio died with her voice being the same as Kirino (from Ore no Imouto). I really like Ayana Taketatsu (the VA), but there’s only so much bitchiness I can take. ^_^ But it was still more enjoyable than B Gata H Kei for me. That series was funny at first, but for some reason Yamada ended up on my nerves. Maybe I’ll finish it someday, since I only have 4 more eps to go. As for Cobra, it never came to mind. I only knew of it as the 80’s series, about the guy with the odd gun arm.